Experience in the wine business — 21 years. Experience drinking and enjoying wine and food — since age 21 (or so) and I’m not saying how many years that is. I’m Debbie (The Wine Lady) and I’ve lived in Canada, the U.S and Argentina. I operate a wine retail operation in the Northeast U.S., and wear all the hats that go along with that, such as running wine tastings, wine and food pairing dinners, corporate wine events, wine classes, and doing regular segments on our NBC affiliate. Chuck, my other half, has worked in wine retail and distribution when he isn’t flying an Airbus for an (un-named) airline. He’s my co-host and technical adviser for our wine activities. We love finding new and interesting wines and wine regions, and sharing our hard-won knowledge of wine lovers’ palates and preferences. Cheers! If you’d like to contact us with a question or suggestion, e-mail us at dlapmardo@yahoo.com. A good, no make it GREAT time was had by all, including crazy Cuvee Eddy! Thanks for bringing these Ortman gems to Warren and the adoring crowd! It was a blast, Ron. One of my best customers said, “This was the best wine dinner EVER.” Thanks for making it so much fun — none of the usual blah, blah, blah. I posted an article, too. Did you see it? 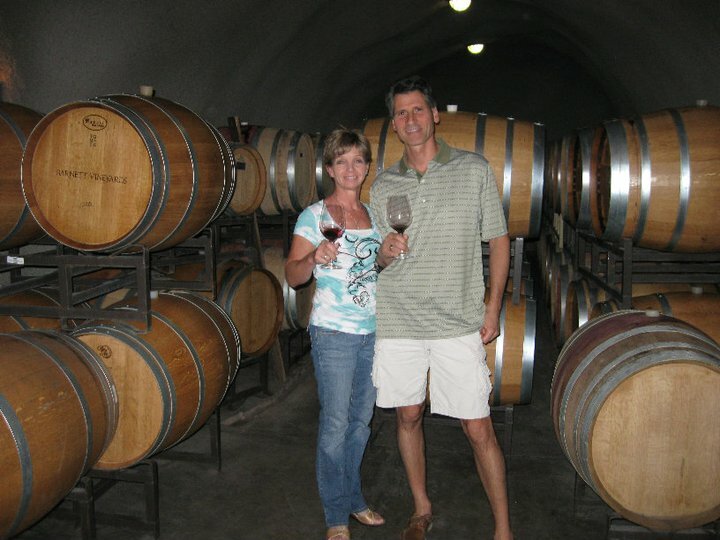 Here’s the link: Ortman Family Winery. You’ll hear from me again… Cheers! Trust me. Not only will I NEVER recommend ur “stuff”…I refuse to call it wine!!!!!!!!!!!!!!!!! For some inane reason ur software program keeps telling me that I am entering an invalid email address. U really need to get ur act together. Hello Jillian — I’m sorry you’ve had trouble contacting me. This is the first time I’ve seen your message. Can you explain to me what the problem is? Did you buy a wine that I recommended and didn’t enjoy it? I’d like to try to resolve your problem, once I understand what it is. Hi Jillian — Sorry you’ve been frustrated. Can you tell me what problem you’ve had? 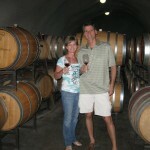 Ryan Sherman here, winemaker for Fields Family Wines. I’m glad that Stuart from the Lodi Winegrape Commish was able to resend our 2010 OVZ for you to taste. Thanks again. Cheers! Hi Ryan — Yes, we enjoyed your wine. Great job. I thought it showed really good balance between fruit and structure. I’ll look for more of your wines in the future. If you are a wine lover then this is the great post for you. The writer describes his experiences in the field of wine available in Canada. According to may experience some people like to have wines regularly with their food.